It is with great sadness that I inform you of the passing of Cameron McMaster. Cameron was known worldwide as the ‘father of the Dohne’. 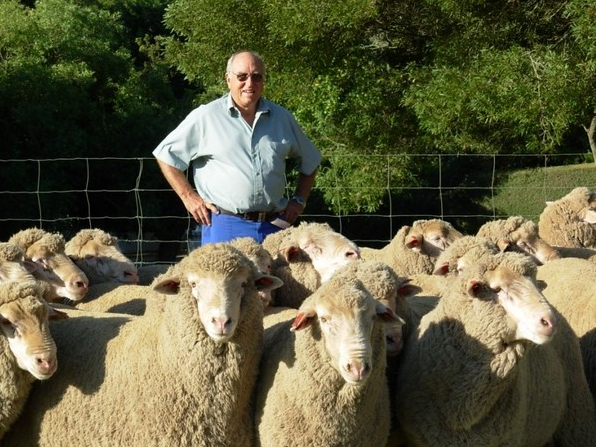 Cameron started in the industry at the development stage of the breed and spent 30 years at the helm of South Africa’s breed managing the country’s Dohne society and helped steer it on the course to global success. 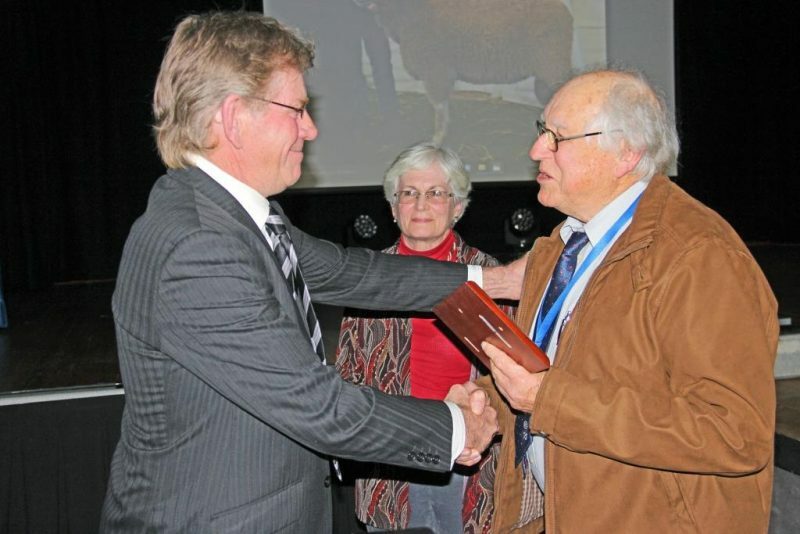 Between 2002 and 2007, his was a familiar face in Australia as he visited to conduct workshops for new breeders and was honoured with a life membership of the Australian Dohne Breeders Association at the Global Dohne Conference in 2016. Richard and Sally Beggs and myself had the privilege of travelling with Cameron across the Karoo in 2014. Cameron’s knowledge of native flora and fauna was incredible. Many Australians had the privilege of catching up and meeting Cameron during the Global Dohne Conference of South America earlier this year. Our thoughts are with Rhoda and family. 2016 Global Dohne Conference Formal Dinner, ADBA member David Kain presented Cameron McMaster with the ADBA Honorary Life Membership, with wife Rhoda by his side. Two memorial services will take place in his commemoration – Wednesday 4 Dec, 11:00, Cathcart and on the 8th of Dec, 10:00 at the Dutch Reformed church, Napier, where he lived. Sale photos on behalf of – Stock & Land and The Land. 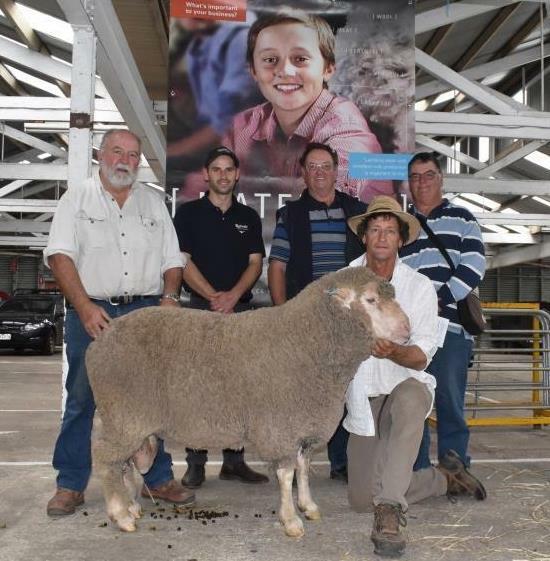 Macquarie Dohne Stud – Greg McCann, Agent Jacob Davies – Rodwells Horsham VIC, buyers Max and Ian Pilgrim, Minimay VIC and Macquarie Dohne Stud – John Nadin holding the top priced ram. 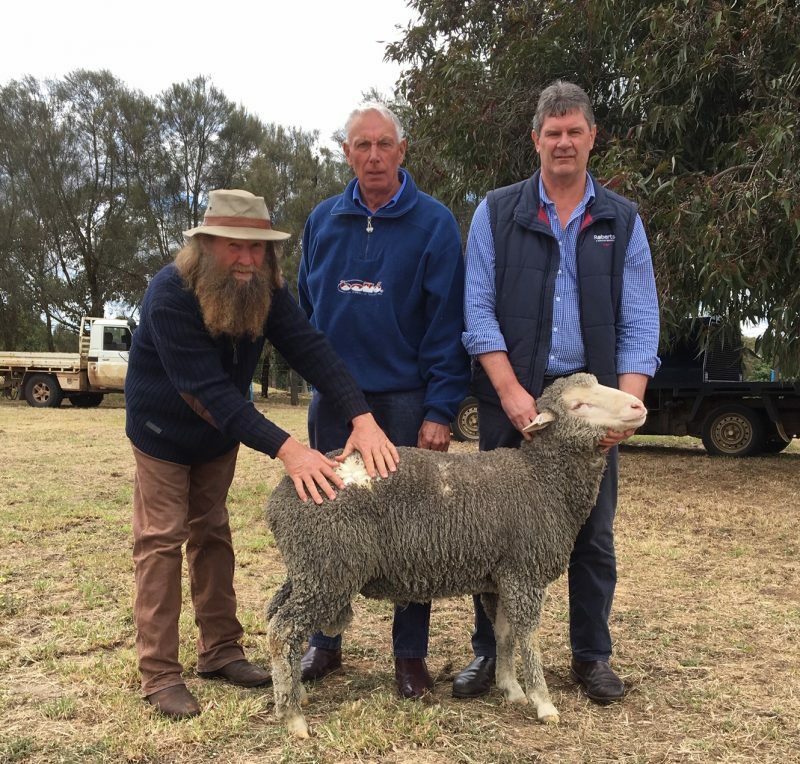 Murray Rogerson stud principal, Purchaser Noel Clear, Clear Investments Pty Ltd, Bracknell TAS and Agent Andrew Murfet, Roberts, TAS holding the top priced ram. 2018 Well……a year most would like to forget I’m sure, it has been the driest year on record for many areas with some receiving very little rain since this time last year. 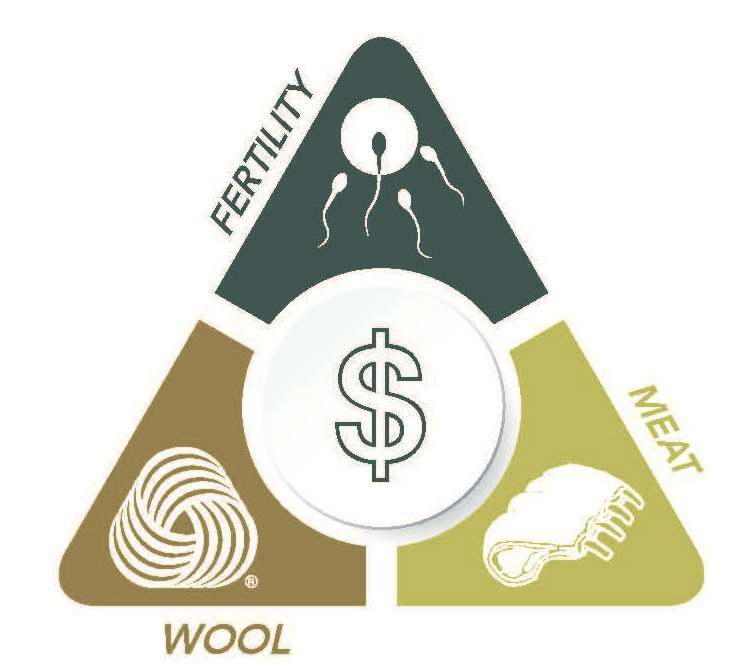 Even with the dry season the Dohne has proved itself to be a resilient animal, still producing quality merino wool and exceptional lambing percentages through this tough time. With everyone holding their breath for breaking rains and to take full advantage of the strong wool market, currently around the 1750 cent level, still 100 cents better than this time last year. Along with lamb indicator hovering around the 700 to 750 cent range it has been an excellent year for those able to capitalize on record prices. It has been a strong start to the ram selling season with prices holding up but understandably clearances have been down on last year. 551 rams have been offered so far with 462 sold to a $8000 top price from the Macquarie stud of Dubbo. The Pye family from Calga sold to a $5000 top with a strong $1619 average. The states top average went again to the Hughes family of Gullendah with an impressive result of $2373 as well as a full clearance, well done. Kardinia, Uardry, DD and Coleslea at Leeton had solid sale results. Back in February Alfoxton topped at $3200, averaged $1975 with a full clearance. Again I would like to congratulate the National committee along with the Dohne assessors for their ongoing work throughout 2018, let’s hope this coming year is a prosperous one with plenty of rain and plenty of lambs. Merry Christmas to everyone. 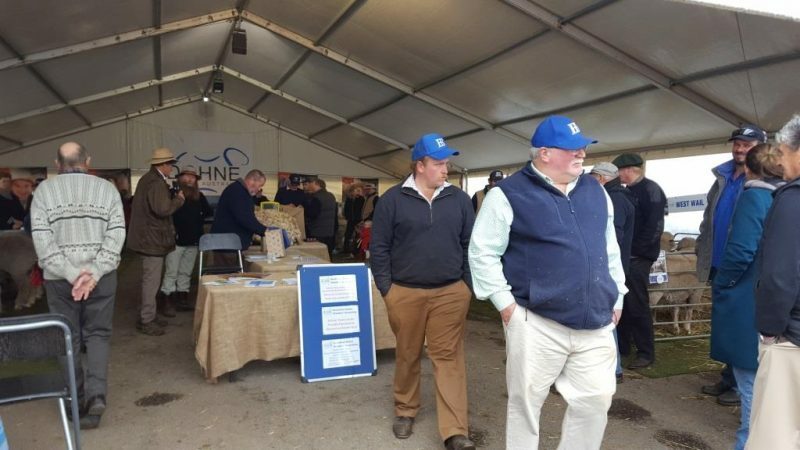 $8000 top price for New South Wales – Macquarie Dohne Stud. 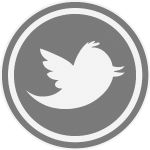 National Promotions has decided to produce another high-quality journal again next year. These journals will be published early next year. Like last year these journals will be distributed to each state so that they can be promoted at next year’s field days and sales. Adverts are not required until the Friday 15 February 2019. All Show sheep will be machine shorn on 01/03/2019 with a readable mobile generated eartag-body photo sent to the ADBA Secretary by 07/03/2019. A minimum of 1 and a maximum of 8 entries per Stud. A minimum of 50% must be 2016 and/or 2017 drop with Show entry and tethered butts to the centre during opening hours. Those remaining will be 2018 drop Display sheep to be hitched at the rear of the hitching panel or loose housed in the pen no crates. Show sheep only, have the option of entry into a catalogued Sunday Helmsman Auction. 2 Show Classes only, pairs without any linkages and singles. Each Class will have State subdivisions with 2 State Finalist ribbons providing entry into the National Final. 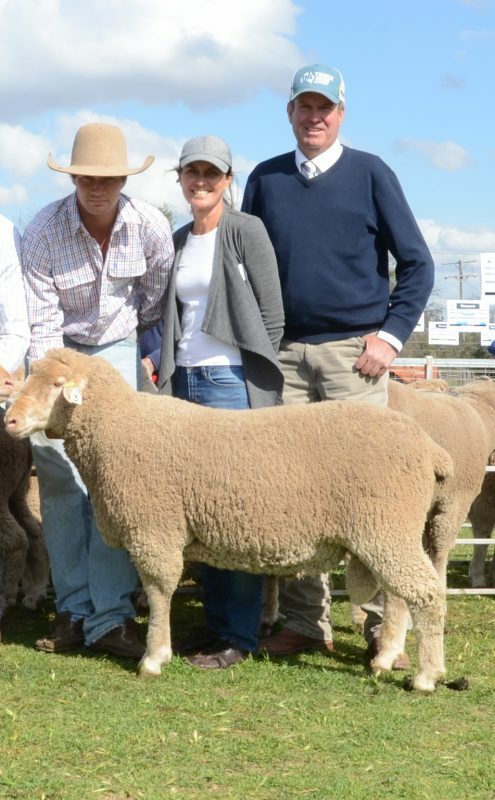 Cost will range between $100 and $200 per ram with different rates for Show and Display sheep. Individual stud teardrop banners will be allowed outside the Tent. The ADBA will no longer process entries. All entries will be processed by you through the Bendigo Show Website.